POUGHKEEPSIE, NY—Following the decision by the Dutchess County Republican Party to nominate NYS Senator Sue Serino as their candidate for the 41st Senate District, Senator Serino vowed to continue to stand up and fight to ensure that the voice of the Hudson Valley is heard in Albany. It is clear that New York has an image problem and it is going to take more than flashy television ads touting our ‘open for business’ mantra to fix it. It is time for the state to shift its priorities from flashy gimmicks and contests to a reinvestment in what matters —the individuals and families that make New York great. That’s why with the state budget process underway, I am fighting for policies that invest in in our workforce, our communities, our schools, and the issues that matter to Hudson Valley residents. Last week, the Senate passed a one-house budget resolution aimed at bolstering affordability, opportunity and security. That plan rejected the $1 billion in new taxes in fees that were proposed by the governor, while investing in the programs that put money back in the pockets of taxpayers and into programs that will open doors for residents. Our budget proposal shuts down the disastrously under-performing programs like Start-Up NY and redirects the $44.5 million spent on advertising it to support more effective economic development initiatives. Not only did we reject the executive’s proposed cap on the STAR property tax savings program that many New York residents depend on, we proposed making small businesses eligible for it. Doing so could save New York small businesses an estimated $275 million that they can use to reinvest in their businesses and their employees. As Aging Committee chair, I know how important it is to ensure that our seniors have access to the resources they need to retire locally. That is why we proposed freezing school property taxes at current levels for many seniors and completely eliminate their school property taxes over the next 10 years. We also proposed increasing the private pension and retirement income exclusion from $20,000 to $40,000 for single taxpayers and to $80,000 for married taxpayers, over three years. 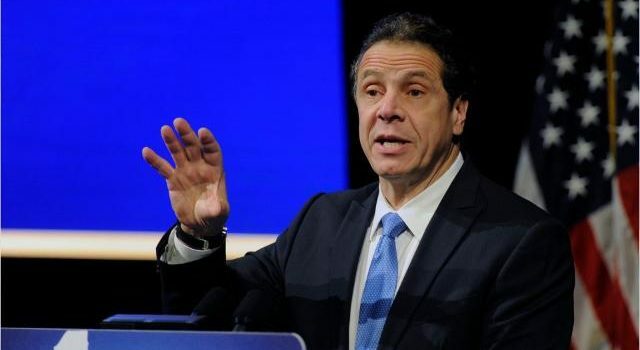 This is the first increase since 1981, and represents a change that could potentially save NY retirees approximately $275 million. High quality schools and post-secondary institutions play a critical role in attracting residents to our communities, and our proposal includes significant funding for education. It provides a record amount of education aid and more than doubles the foundation aid included in the governor’s proposal. Importantly, it also funds critical school safety measures that will help districts provide improved security technology, school resource officers and considers ways to improve the ratio between students and critically necessary mental health professionals. It also restores the potentially devastating cut to a program that helps to provide financial aid for students who attend area private colleges — institutions that not only employ a significant number of our local residents, but are essential to our regional economy. The Senate’s proposal also includes unprecedented funding to combat the heroin and opioid epidemic and $1.2 million to combat the spread of Lyme and tick-borne diseases, as well as language I personally fought to have included that would represent the first major step toward addressing insurance coverage for those diagnosed with tick-borne diseases. If we want to make New York a place where people want to live instead of leave, these are the kinds of initiatives that the state needs to be making a priority. A final state budget is expected to be voted on by April 1, and these are the types of initiatives that I will be fighting for to help move our community, and our state, forward. 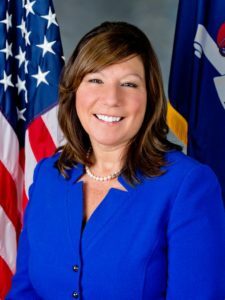 Sue Serino, R-Hyde Park, represents the 41st state Senate District. She is chair of the Senate Task Force on Lyme and Tick-Borne Diseases and of the Senate Standing Committee on Aging.